Joseph Alfred Cooke, whose family name of Cook acquired an ‘e’ on his parents’ marriage certificate, was born in Perth on 28 March 1904, sixth child of Charles John Cook, a draper, and Elizabeth Anne, née Doonan. Elizabeth came from a well-to-do family of grocers and drapers in Fremantle. Joe’s early childhood was spent at Jarrahdale. From 1914 the family lived in the south-west tin mining and timber town of Greenbushes, where his father owned the Court House Hotel, until World War I changed the area’s economic status for the worse. Moving back to Perth, the family lived in Subiaco where Joe attended Thomas Street State School. Joe Cooke was a notable all-round sportsman who rowed for Western Australia for the King’s Cup in 1924. Soon after leaving school, Cooke joined the Labor Party. Raised as a High Church Anglican, he became deeply interested in Catholicism, possibly as a result of meeting Anne Monica Mullany; they were married at St Joseph’s Church, Subiaco, on 21 April 1930. Monica, a typist, was the daughter of John Francis Mullany, who from 1911 to 1924 had been Labor/National Labor MLA for the Western Australian seat of Menzies. Cooke’s desire to become a Catholic was temporarily thwarted by Church bureaucracy, obliging the couple to be married ‘behind the altar’. Joe and Monica lived first in the Perth suburb of Maylands, then for many years in Leederville. In 1942 Cooke made an unsuccessful preselection bid for fourth place on the ALP ticket, preselection at that time being decided by rank and file members through trade unions and party branches. Gaining a viable position for the general election of 28 September 1946, he won a Senate seat and was sworn on 15 October 1947, but lost his seat at the April 1951 election following the double dissolution. His political prospects changed again when, on 7 February 1952, he was appointed by the Governor-in-Council to fill the casual vacancy resulting from the death of Labor senator Richard Nash. This was the first filling of a casual vacancy since the introduction of proportional representation in 1949, and the convention that deceased senators be replaced by members of the same party was followed by all states until 1975. He was sworn again in the Senate on 26 February 1952. In many respects he was a social democrat. He abhorred communism but, on party lines, opposed certain clauses of the Communist Party Dissolution Bill, such as that which allowed for the official search of premises without a warrant, a practice he likened to those of Nazi Germany. In favour of property rights for Aboriginals, in 1957 he requested the Government to submit a report to the Senate about the welfare of the Aboriginal people evacuated as a result of the nuclear tests at Maralinga. In 1946 Cooke had supported a strike of Aboriginal pastoral workers in the Pilbara in Western Australia. Cooke’s beliefs were shaped by his Catholicism. He admired the principles of social justice expressed in Pope Leo XIII’s 1891 encyclical Rerum Novarum, and he spoke out strongly for the preservation of spiritual values. In debate on the Matrimonial Causes Bill in 1959 he addressed the sacredness of the marriage covenant ‘between a man and a woman and God, as well as the State’. He opposed the provision of divorce by consent on the grounds that this would ‘lower’ the nation’s moral structure. He fiercely supported censorship of ‘pornographic literature’, and in 1949 supported Dorothy Tangney by describing the situation of young women working in factories that manufactured contraceptives as ‘one of the most vicious evils that could possibly arise in this country’. He was deeply concerned about television content. Keenly interested in foreign affairs, which he regarded as ‘above politics’, Cooke was a member of the Australian parliamentary delegation to Japan in 1948, and also visited New Guinea. Although he had been appalled by the destruction of Hiroshima, Cooke urged the Government to ‘stay its hand’ in relation to the Treaty of Peace (Japan) Bill in 1952. He referred to ‘niggardly’ provisions for compensation to prisoners of the Japanese and was concerned that the treaty lacked ‘adequate safeguards for our future security’. In 1960 and 1961 he was appointed to the Council of the Inter-Parliamentary Union, attending conferences in Tokyo in 1960 and at Ottawa in 1965. At each, he spoke on the question of disarmament. In Tokyo he condemned the ‘brutal suppression’ of Hungarian anti-communists and rejected the Soviet Union’s call for peaceful coexistence. He argued that it was not worth having coexistence with communism if free civilisation was destroyed in the process. Like most Western Australians of his time, he saw development of the north-west as vital to national defence, and viewed the family as the foundation for that region’s settlement. This meant ‘amenities, education facilities, housing and tax concessions to enable men and women to live like human beings’. He said that if the Government did not change its ‘bungled’ and ‘delayed’ approach to the Ord River Irrigation Scheme it would become another ‘Australian scheme … taken over by foreign capital’. In advocating a bitumen coastal highway from Geraldton to Carnarvon, Cooke suggested that this should be funded from the defence budget. He argued that developing and populating the ‘huge’ area in the north would be the best defence Australia could have ‘against any attempt at the mass destruction of humanity with modern weapons of war’. 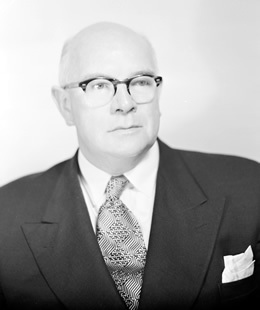 In October 1954 Cooke had voted in the Caucus with those Groupers who had opposed H. V. Evatt as Leader of the Opposition, and at the ALP Hobart conference in March 1955 supported sympathisers of the Victorian Groupers, an act that led to withdrawal of his credentials to ALP federal conferences for three years. Nonetheless, in 1958 he headed the Labor ticket for Western Australia, as he had done in 1953. He was defeated at the 1964 election, having been placed in an unwinnable third position on the party ticket. At the time, some saw this as punishment for his stance during the 1954–55 Labor Split; like Dorothy Tangney three years later, he seems to have fallen foul of the left-wing state ALP secretary, F. E. (‘Joe’) Chamberlain. Whatever the reasons for his demotion, it was a poor reward for his long and devoted service to his party, and his eighteen years as an able backbench senator. In May 1965 he was ill in a Perth hospital and unable to participate in the valedictory speeches. In later years he deplored the growing influence of machine politics. Tall and well-built, and somewhat reserved, ‘Big Joe’ Cooke, as he was known, possessed a commanding presence and was an impressive speaker. He enjoyed an active retirement, in 1974 becoming a founding member of the Institute of Human Development, a non-profit body committed to social justice. He assisted the St Vincent de Paul Society, frequently visiting the Ozanam House refuge for homeless men in Perth. The Joseph Cooke House for seniors in Shelley is a memorial to his commitment to the disadvantaged. He stayed in the modest North Beach home, once a lighthouse, where he had lived since 1952. He continued to swim, and dive for abalone. Cooke died on 14 April 1981, survived by Monica and their five children. He was given a memorial mass at Our Lady of Grace Church, North Beach, on 21 April 1981. He was remembered as a compassionate gentleman who ‘stood on respect for persons, not abstract theories’. Cooke saw his primary purpose in life as fighting for justice and a ‘fair go’ for ordinary people. This entry draws on material kindly provided by the family of Joseph Cooke, notably his son John and daughter Patrice, the co-author of the entry; WA (Perth), 23 Apr. 1924, p. 10; Joseph Alfred Cooke, Record of service card, Western Australian Government Railways and Tramways Records, series 23, SRWA; Typed biographical notes by Senator Cooke, Cooke Papers held by Cooke Family; ‘ALP Selection Ballot, Personal Statement by Cooke, J. A.’, Cooke Papers; Westralian Worker (Kalgoorlie), 3 Dec. 1943, p. 1, 14 Jan. 1944, p. 1, 21 Jan. 1944, p. 1, 9 Feb. 1945, p. 4, 24 Jan. 1947, p. 4; Patrick Weller and Beverley Lloyd (eds), Federal Executive Minutes 1915–1955, MUP, Carlton, Vic., 1978, pp. 275, 348. Westralian Worker (Kalgoorlie), 23 Oct. 1942, p. 1, 22 June 1945, p. 1; WA (Perth), 8 Feb. 1952, p. 10. WA (Perth), 24 Sept. 1946, p. 9; CPD, 29 Apr. 1948, p. 1234, 26 Mar. 1953, pp. 1570-1, 18 Sept. 1958, pp.496-7, 2 May 1962, pp. 1036-76 Sept. 1961, p. 431, 5 Mar. 1964, p. 253, 22 Oct. 1947, pp. 1082–3, 8 Mar. 1950, pp. 452–3, 22 Sept. 1948, p. 668, 5 May 1948, p. 1355, 14 Oct. 1948, p. 1615. CPD, 19 Oct. 1950, p. 1035, 14 June 1950, p. 4203, 21 June 1950, pp. 4584–5, 17 Oct. 1957, p. 655, 4 Sept. 1957, pp. 120–1; Westralian Worker (Kalgoorlie), 5 July 1946, p. 2; Richard Broome, Aboriginal Australians: Black Responses to White Dominance 1788–2001, Allen & Unwin, Crows Nest, NSW, 2002, p. 142. Memorial Mass, Easter Tuesday, 21 Apr. 1981, for Joseph Alfred Cooke, delivered by Rev. Desmond Murphy, Cooke Papers; CPD, 25 Nov. 1959, p. 1815, 27 Nov. 1959, p. 1969, 8 Oct. 1952, pp. 2651–2, 27 Oct. 1949, pp. 2178–9, 12 Mar. 1953, pp. 905–6. CPD, 2 Mar. 1949, p. 822; SMH, 3 July 1948, p. 3; CPD, 5 Mar. 1952, pp. 821–4; CPP, 100/1960; Report to the Australian delegation to the 50th Inter-Parliamentary Union Conference, Tokyo, 1965. CPD, 10 Sept. 1963, pp. 394–5, 16 Mar. 1965, pp. 29–32, 17 Oct. 1957, pp. 647, 649. Robert Murray, The Split: Australian Labor in the Fifties, Cheshire, Melbourne, 1970, pp. 191–2, 225–6; Bobbie Oliver, Unity is Strength: A History of the Australian Labor Party and the Trades and Labor Council in Western Australia, 1899–1999, API Network, Perth, 2003, p. 219; Statement from Senator J. A. Cooke, WA delegate from the Eastern Goldfields District Council to the ALP Federal Conference, Hobart, 14 Mar. 1955, Cooke Papers; CPD, 26 May 1965, pp. 1296–7. WA (Perth), 22 Apr. 1981, p. 43; Memorial Mass, Easter Tuesday, 21 Apr. 1981, for Joseph Alfred Cooke, delivered by Rev. Desmond Murphy, Cooke Papers. This biography was first published in The Biographical Dictionary of the Australian Senate, vol. 3, 1962-1983, University of New South Wales Press Ltd, Sydney, 2010, pp. 464-467.